Back Office Pro (BOP) helps global enterprises with highly accurate, up-to-date, and precise information when they outsource pharmaceutical research services to BOP. Working as your offsite resource partner, BOP keeps you abreast with all latest developments in the pharmaceutical industry, which happens to be one of the most dynamic of all industries, and helps you beat the competition. BOP’s skilled team of pharmaceutical research analysts are well acquainted with the latest medicinal developments, technological advancements, and scientific breakthroughs. Laced with ISO-certified processes, skilled resources, dynamic project management strategies, BOP enables clients with the market landscape, market forecast, competitive intelligence, intellectual property related research and analysis to help them meet the constantly demanding market needs. Adaptability to work with multi-cultural and multi-location teams. Competitive Intelligence BOP helps clients with comparative matrixes, war games,and marketing scenarios to provide targeted competitor intelligence survey reports. BOP analyzes R & D strategy, product lifecycle management, sales force assessment, key messaging, product launch time, distribution & marketing channels, etc. Market Forecast BOP utilizes advanced market forecast techniques that helpto interpret complex forecasting models which in turn help in predicting contributions different factors on the market. Database Creation BOP offers CRF-designed databases that are custom developed to meet specific research needs. Numerical Data Mining BOP provides highly comprehensive research of numerical data to ensure chemical structures are valid and accurate. Data Analysis BOP’s research analysts, can analyze medical and pharmaceutical databases to gain insights that are both valuable and workable. Market Landscape Assessment BOP supports setting up of businesses with industry-specific market landscape assessment services. BOP offers market sizing & segmentation services, stakeholder recognition, opportunities findings, key driver characterization, potential market study, and more to help clients gain real-time market scenarios. 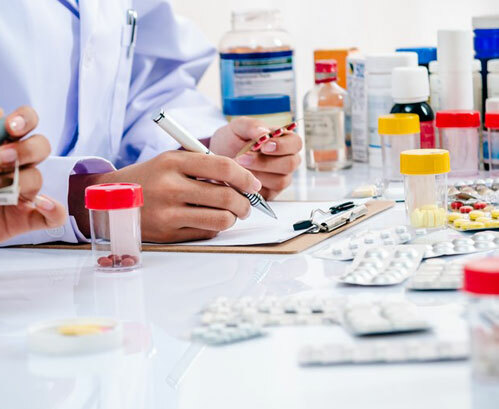 Intellectual Property Research BOP acknowledges that the Pharma industry requires crucial intellectual property research to avoid legal complications and helps clients with timely suggestions to patent required medications. Text Data Mining BOP also enables clientsto use collected information through the appropriate data mining tools to make qualitative databases. Web Data Mining BOP’s skilled pharmaceutical research analysts also mine data various websites to gather accurate medical information. BOP boasts of elaborate infrastructure to meet growing research requirements. BOP offers the right analytical tools, appropriate infrastructure, research methodologies to ensure research reports are meaningful and accurate. BOP takes care that every research report is carefully created to avoid wrong information getting distributed and ensures that each report goes through strict quality checks. BOP follows ISO standards and ensures critical client data is safe and unbreached. BOP signs NDA and SLAs that assure clients of quality and safety for their information. BOP has research labs located across the globe to ensure there is reduced response time to clients and this also enables BOP to deliver projects on time. BOP helps research pharmaceutical services to meet the growing needs of the industry with skilled resources and cutting-edge technologies. Contact BOP for pharmaceutical research services and rest assured of precise and accurate outcomes.